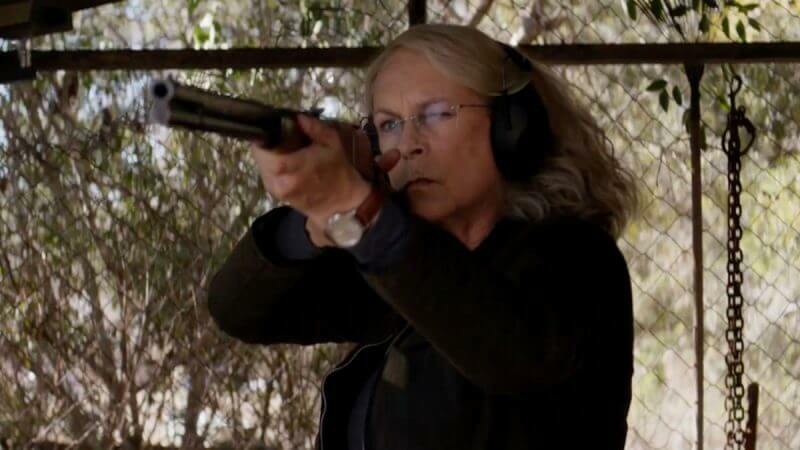 The David Gordon Green-directed sequel, Halloween, is nearly upon us and a spooky new trailer has just been released with new footage and a tease of the sure-to-be-epic showdown between Jamie Lee Curtis’ Laurie Strode and the infamous killer, Michael Myers. Halloween will see the culmination of all that came before it in which Curtis’ iconic Laurie Strode will finally face down her greatest foe, Michael Myers, from whom she only almost escaped from forty years ago in the original film back in 1978. The new footage includes Michael Myers eerily stalking his prey on Halloween night, the unforgettable Halloween theme song, and Jamie Lee Curtis with a seriously big shotgun (and she looks ready to use it). Playing alongside Curtis are Judy Greer as Karen Strode, Laurie’s daughter, and Andi Matichak as Allyson, Laurie’s granddaughter. 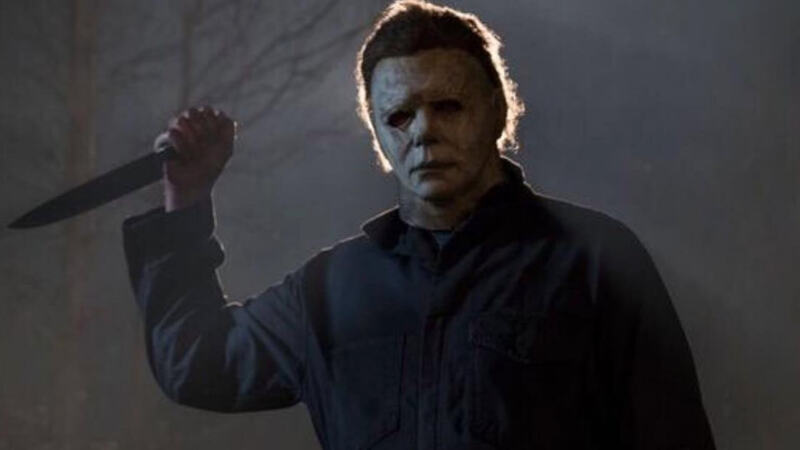 Halloween will not be a true sequel, meaning that all of the continuity from the previous films will be thrown out the window to allow a more contained story. Laurie Strode was played by Curtis in four films within the franchise, including the original Halloween in 1978, Halloween II in 1981, Halloween H20: 20 Years Later in 1998, and Halloween: Resurrection in 2002. Jamie Lee Curtis has been with this character for many years, so this is sure to be an emotional finale for many fans of the series. Backing the horror slasher flick is the legendary John Carpenter as executive producer and creative consultant, and producer Jason Blum of Get Out, Split, and The Purge fame. Director David Gordon Green (Pineapple Express) and comedic actor Danny McBride penned the screenplay for the new entry in the Halloween legacy. The two took massive inspiration from Carpenter’s 1978 original film and want to do it justice with their take on the story. Halloween can be seen in theatres everywhere on October 19th, 2018. For more on Halloween and your favorite nerdy news, stay tuned to The Nerd Stash!